Earlier this week, the producers at CNBC asked me to appear on one of their programs to explain why tech is once again leading the market to record highs. 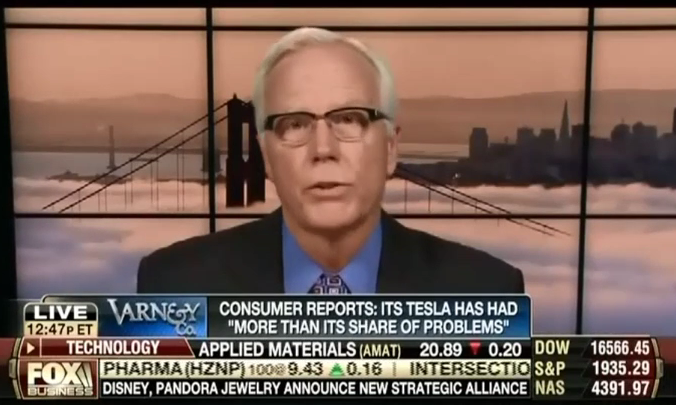 When I appeared on the popular financial channel in early June, I was peppered with tough questions about why tech stocks were lagging the market. I told the interviewers not to worry, and predicted that tech shares would rebound into a major rally that would power the overall stock market to new highs. I’m telling you that story to underscore the risks of giving up on technology. That’s why I’m going to spend today sharing the one technology investment you should invest in regularly. In fact, it should form the foundation of every investor’s portfolio. And it’s the one investment you should never sell. If you follow my advice on this, I can make you two promises. Decades from now, you’ll recall this move as a difference-maker in your life. Apple Inc. (Nasdaq: AAPL) stock reached its all-time high yesterday, and many investors are wondering how much juice the world’s largest tech company has left. Plenty, Michael says. 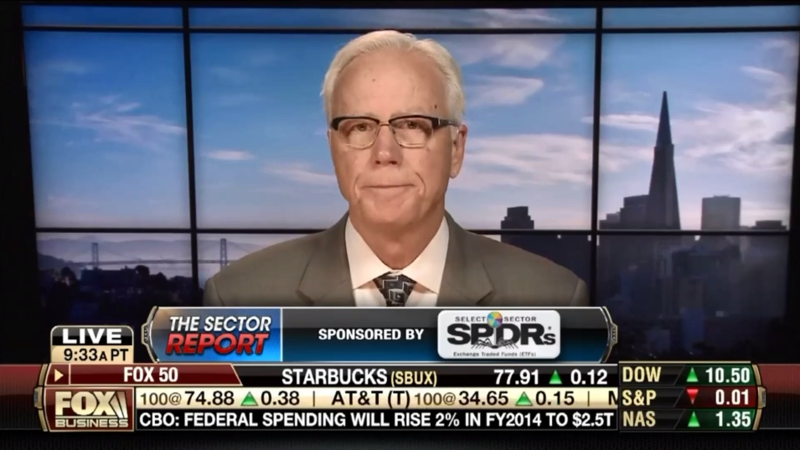 During an appearance on Fox Business‘s Varney & Co.yesterday, Michael predicted that Apple’s stock price will rise 40% from its current level in two years. That would translate into a jump from $102 to more than $140. With gas and diesel cost $3.40/gallon and up, so long-haul drivers are regularly shelling out $1,000 and more to fill up. And the fleets of business and government vans, box trucks and cars that clog our streets are spending millions of dollars on gas every day, too. Tracking and controlling all this is unimaginably complex for the owners of these fleets. Further, the temptation for drivers (or gas station cashiers) to siphon off some of these billions for themselves must be enormous. And one of the best companies in fleet- the fuel-management business just got substantially better thanks to a very strategic acquisition. Investors loved the deal, and the company’s stock skyrocketed 9.2% in one day on news of the acquisition. And if you followed my advice when we began walking down this road to wealth, then you were there first – and you’re sitting on gains of 80%+. I’m always telling you folks that mergers and acquisitions are some of the best ways to spark a company’s growth – and its share price… and here’s proof. Yes, silver – that seemingly everyday metal that we find in our wedding bands and “nice” forks. Silver is so vital in consumer electronics, solar power and even healthcare now that it has become one of those “Miracle Materials” that are literally changing our lives. In fact, the mining CEO I just talked with compared the metal to hot-topic materials like tungsten and graphene. It’s been a tough couple of years for his industry. But Keith Neumeyer, one of the top CEOs in the silver industry, tells me that he sees good times ahead – thanks to our friend the law of supply and demand. So today, I’m sharing with you not only Neumeyer’s observations about silver and technology, but also his bullish predictions about this commodity’s near-term price. Business rivalries come and go. But not many end up the focus of an iconic TV commercial that aired once during Super Bowl XVII – and never again. You probably remember the famous “1984” commercial introducing Macintosh personal computers. In the ad, “Apple” is an iconoclastic young heroine who hurls a hammer at a giant screen broadcasting “Big Brother” (IBM) lecturing to a legion of followers. Indeed, Apple Inc. (Nasdaq: AAPL) vs. IBM Corp. (NYSE: IBM) was one of the bitterest tech rivalries of the past 30 years. But instead of David battling Goliath to the death, the two are now joining forces in a bold new pact. Today, I’ll tell you all about this hard-to-believe partnership and why I think it’s a good move for both companies. There’s a stock exchange out there with a bad reputation. You might think of it as a warren of shady penny stocks and unregulated “pink sheets” that are subject to easy manipulation and other schemes. And the Federal Bureau of Investigation doesn’t think much of it either. G-men are cracking down on alleged fraud here involving dirt-cheap, thinly traded microcap stocks. The reality, however, is that some of the world’s largest and most successful technology and bioscience companies are listed here. And today, I’m going to explain to you precisely how to tell the difference between the sketchy stocks and the reputable ones. On Monday, Intel Corp. (Nasdaq: INTC) announced that its first-ever low-power chips, designed for tablets and other small devices, will hit the market before the year’s out. Dubbed “Core M” processors, the chips are less than 10 millimeters thick – perfect for Windows-based “convertible” tablet-laptop combinations, and even for the MacBook Air redesign, according to AppleInsider. “Core M” processors are just one of four reasons that Michael is a big fan of Intel stock. 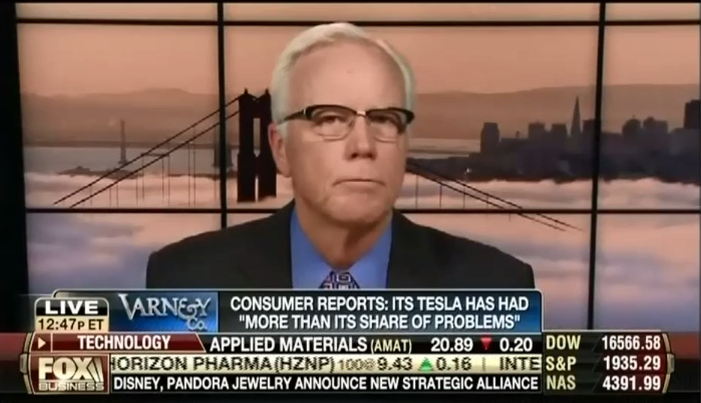 Despite the less-than-glowing review, Michael remains a huge fan of the Model S and of Tesla stock – watch the video to find out why. GoPro Inc. (NasdaqGS: GPRO) launched its successful IPO on June 26. The stock closed up more than 9% from its opening price. And it’s up nearly 24% since then. The action sports video camera company was only one of the biggest tech stories of the summer – and the story behind GoPro is the kind of classic American tech success that makes being a part of Silicon Valley so exciting. As an individual investor, you probably couldn’t participate in the GoPro initial public offering… or any IPO. And maybe you’re thankful for that – if you had invested at the wrong time, you easily could have lost nearly 22%. However, my 30 years of Silicon Valley experience tell me that the best investments usually aren’t the big-name companies whose products that line store shelves – but the “pick and shovel” plays… the little-known firms that act as suppliers for the big boys. And here at Strategic Tech Investor, I told you about a major GoPo supplier more than a year ago. It’s less volatile and has offered us months and months of market-beating performance. We’ve already made 100% gains with it. And I think it’s good for another near-future double. Just try buying a house or renting an apartment these days without visiting the websites of Zillow Inc. (Nasdaq: Z) or Trulia Inc. (Nasdaq: TRLA). Eighty-three million visitors checked in on Zillow in June, while 54 million visited Trulia – without much overlap between the two. It’s one heck of a business opportunity. And that’s why Zillow and Trulia late last month agreed to merge in a $3.5 billion deal that creates the world’s biggest real estate player on the Web. As big as that blockbuster was, however, it’s still not enough to lock down the market. In a recent survey of potential home buyers, the National Association of Realtors trade group found that 74% were planning to use the Internet to search for a new house. And according to the media analysts at Borrell Associates, from September 2012 to September 2013, more than half of all real estate advertising, or $13 billion, was spent online – and at that level, real estate is the No. 1 spender in online advertising. The bottom line: There’s still plenty of room for a host of online real estate specialists – especially for players that offer services the Zillow/Trulia cartel doesn’t have. We’ve identified the perfect challenger. In fact, we told you about it three months before the merger.